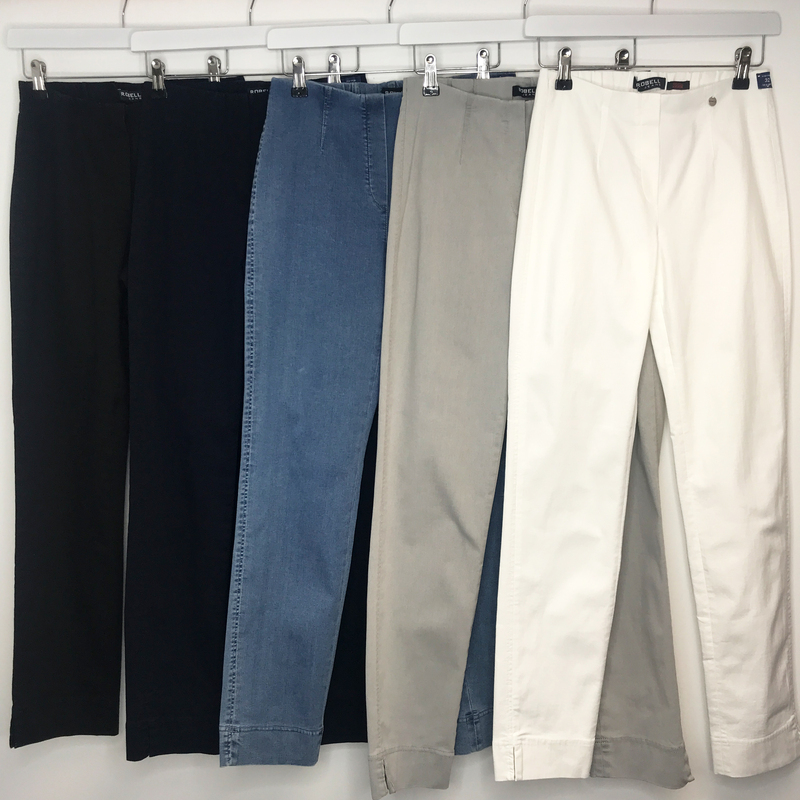 If you have read our previous Robell blog post or are already a fan of the Robell brand, you will know that Robell trousers are a must-have in every wardrobe! In this blog we are focusing on Robell Marie trousers. The much loved Marie shape is available in full length, capri (07) length, fleece lined and denim jeans. At Lucy Cobb we stock Marie trousers year round and always have something new to offer every season. Always available in core colours throughout the year, we also offer new seasonal colours and prints. Marie trousers are a classic straight leg fit, they feature an flat elasticated waistband giving them their effortless pull up design. Marie trousers have a seam detail down the back of the legs and a vent on the outer hem. Like Robell Bella and Rose trousers, Marie are made from Robell's signature Bengaline fabric, which is what makes these trousers so unique and fabulously flattering. Robell Marie trousers are a generous fit so our Robell specialists at Lucy Cobb recommend going one size down from your usual trouser size. A full length classic straight leg trouser with an inside leg measurement of approximately 78cm. With all the amazing features of the Marie trousers, these pants are extremely versatile, ideal for work but can be dressed up or down. An elegant and timeless style that would make a great addition to any wardrobe. A capri length trouser with an inside leg measurement of 55cm. A shorter version of Marie full length but still with all of the much loved features. Robell Marie 07 trousers are perfect for the summer months, with the light-weight Bengaline fabric and sort-after summer length. The comfortable elasticated waistband also makes Robell trousers ideal for travelling. Just like the Marie full length trousers, the Marie Fleece Lined trousers are a 78cm inside leg length and offer all of the same features. The one difference being the unique fleece lining...as well as the Bengaline fabric on the exterior of the trousers this style is also lined with a bulk-free, super soft fleece lining. A go to in the winter months. Giving you the same effortlessly stylish look but with a bit of added warmth. These super flattering and extremely comfortable denim jeans are a fantastic wardrobe staple. The same timeless straight leg style, like the other trousers in the Marie range. The power stretch denim in the jeans makes them ultra comfortable and so easy to wear. Perfect with a t-shirt and flats or dressed up with heels and your favourite top. 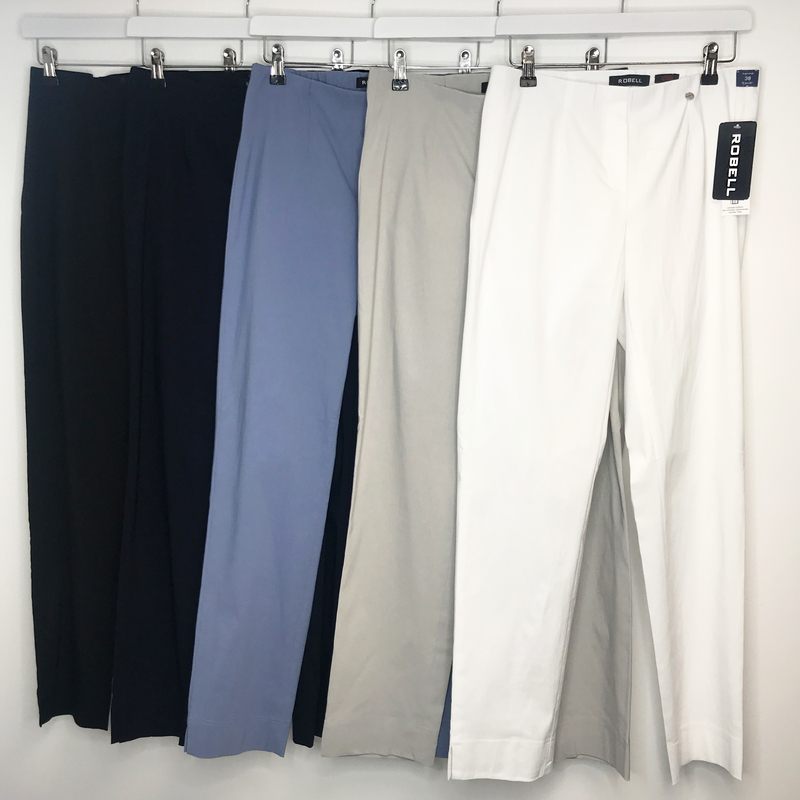 As an Official Robell Stockist we have access to the full Robell collection, if you are looking for a pair of Robell trousers that you can’t find please get in touch.